Many people mistakenly think that earnings are the most important factor in determining a company’s ability to pay dividends – but earnings have all kinds of noncash items in the formula. Free cash flow is the most conservative accounting of how much cash a company took in. A company pays dividends with cash, not noncash items like depreciation. American Electric Power (NYSE: AEP) is a utility that has performed well during the downturn. But is its dividend safe? The company bleeds money. 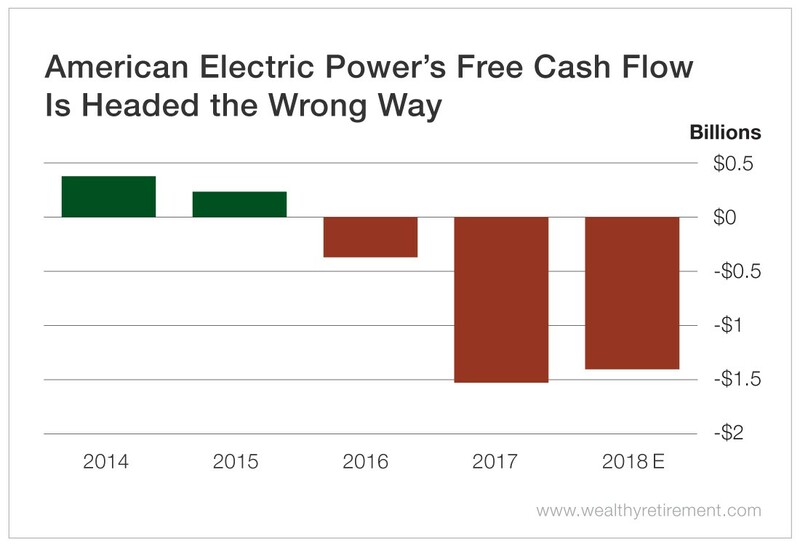 After being cash flow positive in 2014 and 2015, American Electric Power’s free cash flow is negative to the tune of nearly $1.5 billion. In other words, no matter what earnings say, almost $1.5 billion of cash went out the door. When that happens, the only way to pay a dividend is to use existing cash on hand, borrow money or raise money.